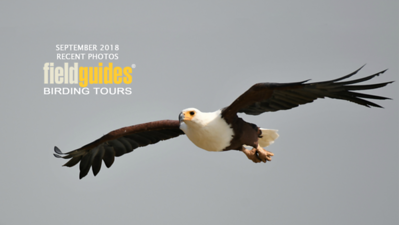 We soar into this month's Recent Photos Gallery with a majestic African Fish-Eagle by participant Joshua Horner on our Wild Kenya: A Tented Camp Safari tour. 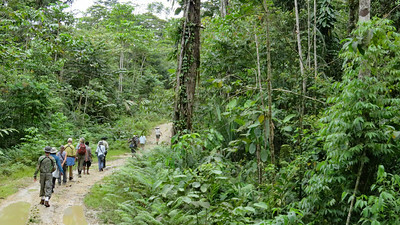 Others we highlight this month are Borneo, Papua New Guinea, Galapagos, Cloudforests of Ecuador, Amazonian Ecuador, Rainforests of theTambopata in Peru, Jaguar Spotting in Brazil, Arizona's Second Spring, Newfoundland & Nova Scotia, two departures to Iceland, and we also include highlights from our annual Field Guides staff business meeting in Arizona. Enjoy! 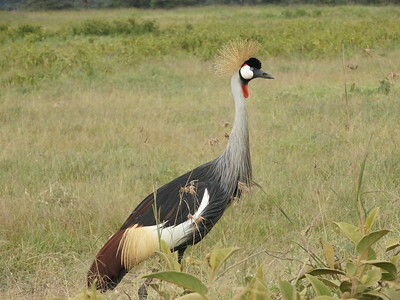 If there were such a thing as royalty in the bird world, surely Gray Crowned-Crane would be among the nobility. Photo by guide Terry Stevenson. 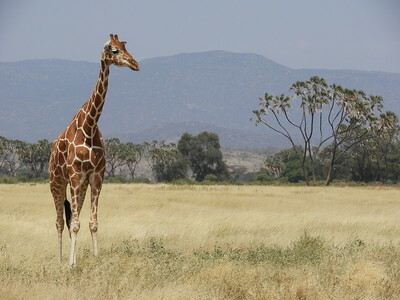 Like fingerprints on a human, the pattern of the pelage of a Giraffe breaks up in a way that is unique to that individual. Photo by guide Terry Stevenson. 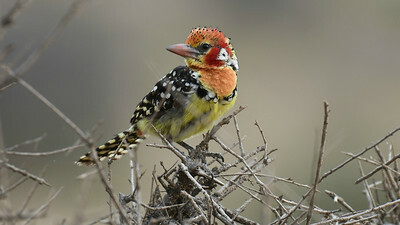 Red-and-yellow Barbet, photographed here by participant Joshua Horner, is on the cover of the Birds of East Africa field guide, which just so happens to be co-authored by our Field Guide: Terry Stevenson! 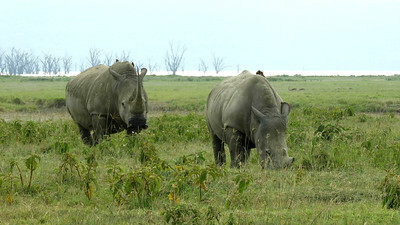 White Rhinos got their name from a misinterpretation of the Dutch word "wijd," which means wide -- a reference to their broad mouth. Photo by guide Terry Stevenson. 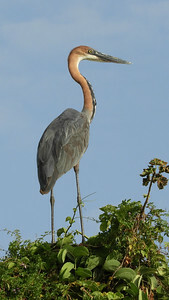 Standing five feet tall with a seven foot wingspan, the Goliath Heron truly is a giant wading bird. Photo by guide Terry Stevenson. 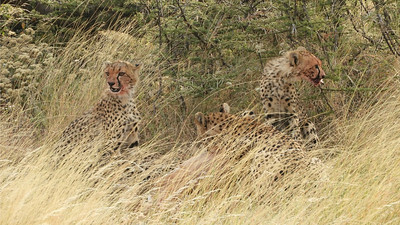 The global population of Cheetahs has shrunk by more than 90 percent, so we felt fortunate to come upon this family. Photo by guide Terry Stevenson. 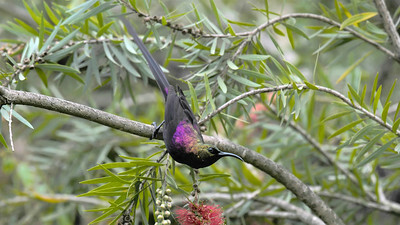 This Tacazze Sunbird and its allies occupy a similar niche in the Old World to hummingbirds in New World. Photo by participant Joshua Horner. 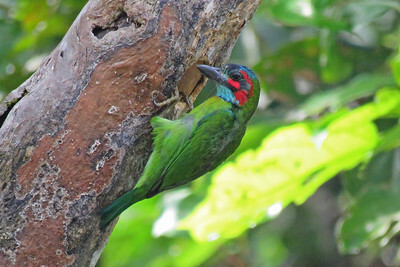 From East Africa now to Borneo, where our summer group caught up to this Blue-eared Barbet at its nest cavity. Photo by participant Merrill Lester. 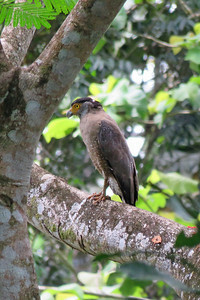 Given that there are 21 recognized subspecies of Crested Serpent-Eagle, it seems ripe for a few splits across its large tropical Asia range! Photo by participant Merrill Lester. 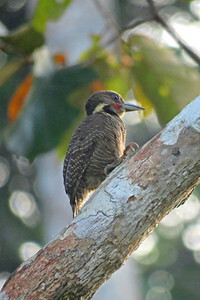 The aptly named Buff-necked Woodpecker allowed us a good look. Photo by participant Merrill Lester. 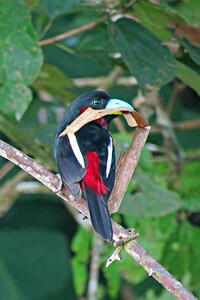 A colorful Black-and-red Broadbill gathers nesting material. Photo by participant Merrill Lester. 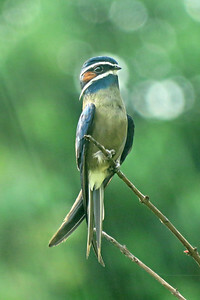 Whiskered Treeswift: elegant, awkward, and a thrill to see — all in one. Photo by participant Merrill Lester. This adventuresome group is our Papua New Guinea tour heading into some lush habitat and the start of a new series of pictures. Photo by participant Randy Beaton. 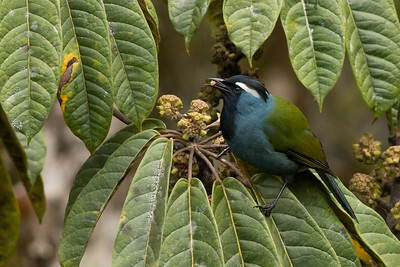 Even with blue in the plumage and a white eyebrow, the subtle but lovely Crested Berrypecker can blend right into the foliage. Photo by guide Doug Gochfeld. 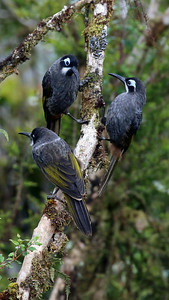 A trio of bold Belford's Melidectes, one of numerous specialty honeyeaters found in New Guinea. Photo by participant Randy Beaton. 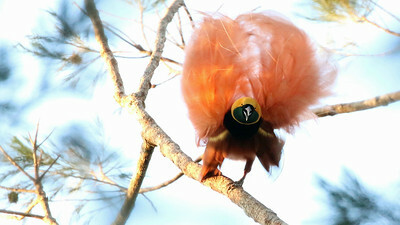 A spectacular male Raggiana Bird-of-paradise feeling his oats. Photo by participant Randy Beaton. 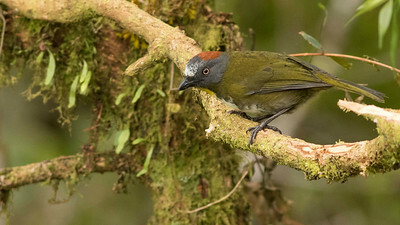 Some birds prove particularly challenging for taxonomists to classify, and so it is with Rufous-naped Bellbird, formerly a whistler and now in the tiny family Oreoicidae. Photo by guide Doug Gochfeld. 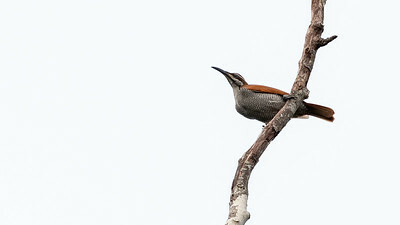 Growling Riflebird live up to their name. They make some truly astonishing sounds. Photo by participant Sid England. 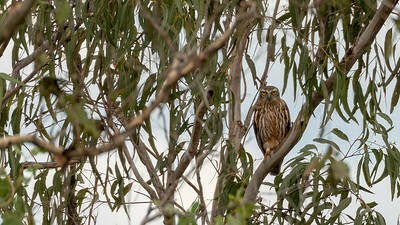 If we allow ourselves to anthropomorphize a bit, this Barking Owl looks more than a little irritated. Photo by participant Sid England. 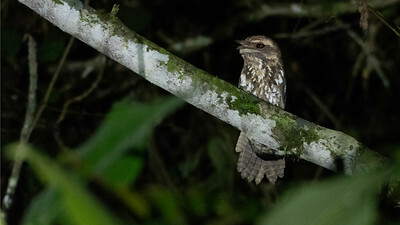 One of our nocturnal forays produced a great look at Marbled Frogmouth. Photo by participant Sid England. 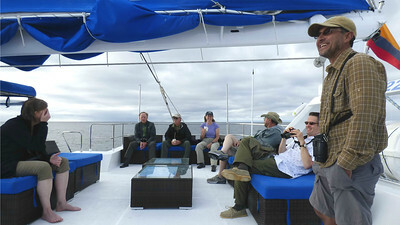 Let's do a great big island hop and check out some images from a recent Galapagos tour. 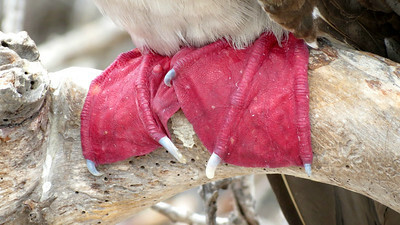 The intensity of color on the feet of this Red-footed Booby is a signal of reproductive vigor to its mate. Photo by participant Judith Harackiewicz. 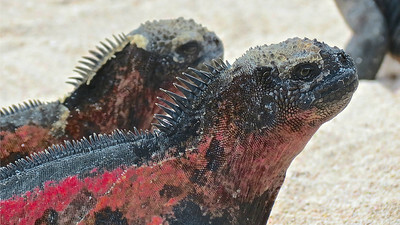 Prehistoric-looking Marine Iguana have evolved a very specialized aquatic lifestyle: diving to graze on algae. Photo by participant Judith Harackiewicz. Guide Willy Perez (r.) kept a sharp eye out for wildlife while we relaxed on the comfortable upper deck of our chartered catamaran. Photo by participant John Keith. 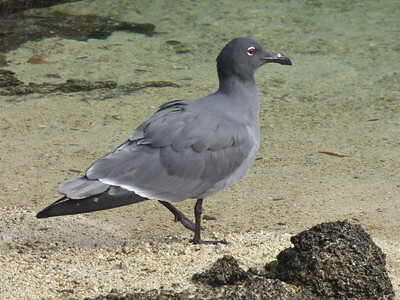 Lava Gull has the smallest range, and consequentially the smallest population, of any gull species. Photo by participant John Keith. 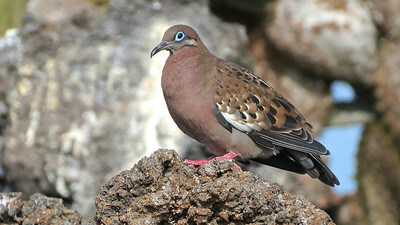 Most people think of the finches, but there are many other endemic species on the islands, like this beautiful Galapagos Dove. Photo by participant Judith Harackiewicz. 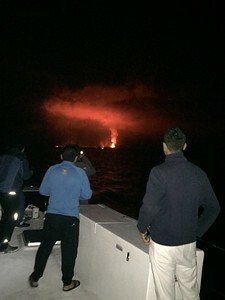 We enjoyed a dramatic reminder of the origin of the Galapagos Islands from a safe distance. Photo by participant Judith Harackiewicz. 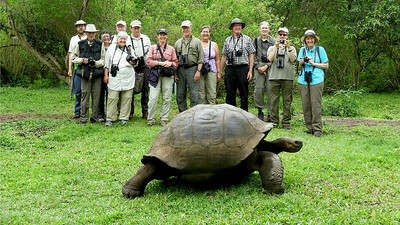 Our group shot was "photo-bombed" by a longtime resident of Santa Cruz Island. Galapagos Tortoises can live for more than 100 years! Photo by guide Willy Perez.